Researchers, from the University of Southampton and the Wellcome Trust Sanger Institute, have discovered that Chlamydia is much more diverse than was previously thought. Using whole genome sequencing, the researchers show that the exchange of DNA between different strains of Chlamydia to form new strains is much more common than expected. In a study released today in Nature Genetics, the team highlights that current clinical testing methods do not capture the variation between Chlamydia strains. 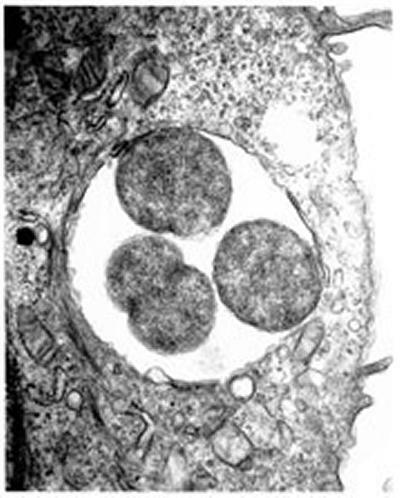 Changes to the genome structure are not the aim of current diagnostics for Chlamydia. The researchers are working with hospitals to use their results to improve Chlamydia testing in terms of detecting variation between Chlamydia strains. Chlamydia trachomatis is the most common sexually transmitted infection (STI) both in the UK and globally, with approximately 100 million new cases worldwide each year. It is also the most common cause of infectious blindness, or trachoma, in the developing world. Relatively little is known about the evolution of the different strains of Chlamydia that are causing infection. “Despite this being the most important sexually transmitted infection in the world, until now it’s clear that there are major gaps in our knowledge of the strains that are currently circulating, their evolution and natural history,” says Professor Ian Clarke, senior author of the study, from the University of Southampton. “It is really important to carry out research into Chlamydia to safeguard the sexual health of our young people, especially so, because chlamydial infections are associated with many serious complications such as infertility and ectopic pregnancy. The team found there appeared to be no barriers to the swapping of DNA when circumstances allow, even between bacterial strains associated with infecting different parts of the body. Clinical diagnosis of Chlamydia infections simply returns a positive or negative result, providing no information about the nature of the infecting strain. This makes it impossible to determine whether a person who tests positive again after antibiotic treatment has picked up a second infection or if their treatment has failed. The significance of this is that, although antibiotic resistant Chlamydia has never been seen in patients, it can occur in the laboratory. If resistance did occur in the general population, it would not be detected by current diagnostic procedures. This study is not just important for the treatment of the sexually transmitted strains of Chlamydia but also for the treatment of African Chlamydia strains that can cause infectious blindness, or trachoma. The team sequenced strains of African Chlamydia and found that these strains are also using recombination to fool the human immune system. This study shows that whole genome sequencing is the resolution required to understand in fine detail the spread of Chlamydia through a population. Scientists at the University of Southampton and the Sanger Institute are currently working with hospitals to bring this technology and new point of care tests into the clinical setting. The challenge that researchers face is to provide enough DNA from routine samples to generate a whole genome sequence.